Posted on December 26, 2010, in Christianity, Contemporary Church Culture, The Christian Life, Theology and tagged Barna Group, Bill Hybels, christianity, El cristianismo, Evangelistic, George Barna, Gospel, postmodern, seeker-sensitive, Super Bowl, tolerance, Willow Creek. Bookmark the permalink. 13 Comments. Good stuff. Thanks for posting. I wonder how we turn it around. It seems so many leaders are focused on numbers and budgets that disciple making is regulated to a ministry that a single leader is in charge of. I think trouble comes when discipleship and care ministries are seen by leaders as slots to fill opposed to real work of the church. Hi Tony, thanks for stopping by! How do we turn it around? That is a tough question! 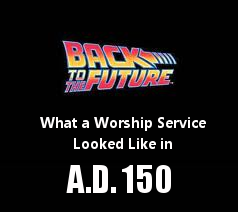 However, I do think we change it one congregation at a time. Those who can turn it around on the local church level are the ones who are senior pastors, elders and others like them. They have to see that this seeker-sensitive thing does not work. They must also have the courage to stand by their convictions, make the changes and watch people (and money) leave, then rebuild with a more biblical pattern. There are many who are doing this. Hopefully some of them will stop by here and share what they have learned in the process. Very good comments. A friend of mine very astutely remarked yesterday that many people on our day are choosing a church not for its theological position but for where it stands ideologically. It’s not so much about what a church’s doctrines are, but where it stands on abortion, gay rights, helping the poor, etc. Apologist Os Guinness remarked a coupe of months ago that in the twenty-first century, evangelism has become easier than ever. However, he also noted that discipleship is harder than it has ever been. I think this study by Barna definitely bears witness to that. Hi Hans, thanks for stopping in! I have found that most church websites do not have a statement of faith page or the equivalent. So, it must not be important to them or to those they are trying to attract. Great article Jim. 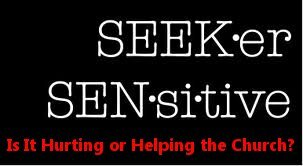 I am in a “seeker-sensitive” church, and at times see what you are describing. However, our pastor is a little more engaging and challenges people to not be just converts, but to be and build disciples. I often wonder if we just imitated those first few followers in Acts and got on our knees, truly seeking and waiting on God, what kind of “results” we would see. I believe we would see more results than the “market driven” approach creates. I wonder if God backs up and stops blessing us because we choose to “make things happen” OUR way rather than seeking His way. Can you imagine what He would do if we collectively sought Him like those 1st century believers? Hi Scott, thank you for both of your excellent comments! 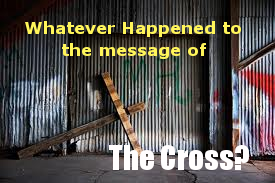 I wrote about how things happened in the early church in this post: Whatever Happened to the Message of The Cross? I agree with you. I think we would see more people authentically coming to Christ and following after Him. The market driven apporach is succesful in gathering crowds, but I think that is all it is good for. Better to have fewer deep roots than many shallow ones. Roots that can not hold onto the soil to weather the wind and cant draw up water during drought will cause the plant to wither and die. This was a response posted by Evan.